Law firm Mayer Brown has hired Ashley McDermott as a partner in its banking and finance practice in London. 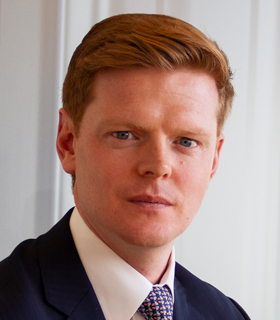 He joins from Clifford Chance, where he had been for more than 12 years, most recently as senior associate. At Mayer Brown, McDermott will advise on a range of lending transactions, particularly those involving emerging markets. His practice is focused on export, trade and multilateral financing, especially in the commodity, energy and infrastructure sectors. He advises banks and borrowers on a variety of structured trade finance work, including borrowing base, prepayment and pre-export financings. In addition, he has significant experience in export and agency finance and has a particular interest in financings for sovereigns, state-owned enterprises and parastatals. “Ashley is a great fit for our practice, and he arrives at a time when we are focused on expanding our emerging markets financing capabilities, an area of increasing strategic importance to our clients,” says Dominic Griffiths, partner and co-head of the firm’s global banking and finance practice.